Yesterday morning, a visit to a specialized museum in the far south of Palo Alto: The Foster Watercolor Exhibitions of Wilderness Journals. Open to the public, free, with generous daytime hours. 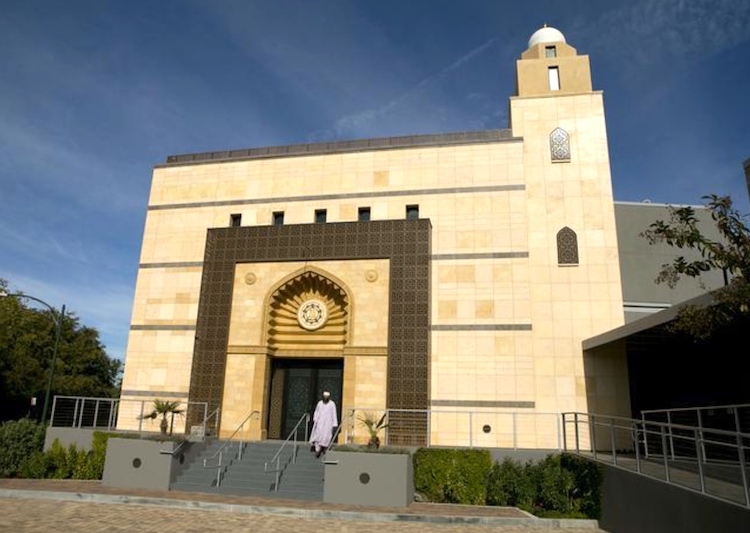 Bonus: a free-standing mosque in the neighborhood which opened in 2015. I had been unaware of the Foster and also of the mosque. Take a break from regular life and experience beautiful art and inspiring journeys. 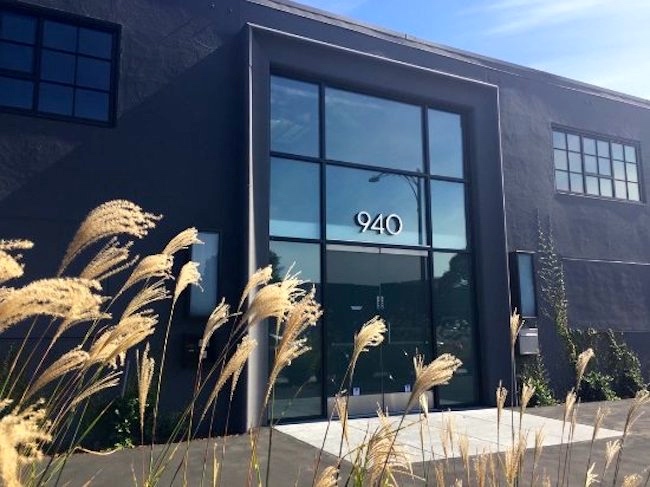 The Foster is located at 940 Commercial Street in Palo Alto [in a pefectly ordinary one-story tech/commercial building] near the corner of E. Charleston and San Antonio Road [just south of Palo Alto’s Jewish Community Center]. Born in Lincolnshire, England [but now living in Cornwall], artist-explorer Tony Foster finds inspiration in the wild places of the world, which he paints en plein air. 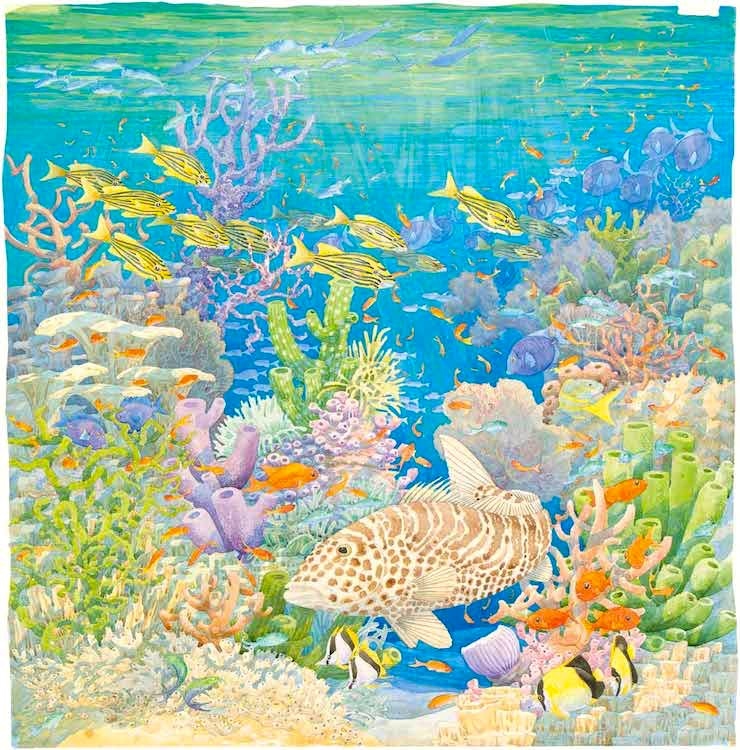 Since 1982, he has undertaken a variety of watercolor “journeys” — painting projects based on a philosophical or environmental theme — that often involve multiple expeditions over many years. His subjects range from mountains, rivers, rainforests, deserts, coral reefs and Arctic icebergs to such iconic natural areas as the Grand Canyon and Mount Everest. Hiking, rafting, kayaking or canoeing to find the perfect painting site, then camping outdoors for weeks at a time to make his paintings, Foster frequently faces challenging weather and difficult conditions. His paintings, complete with diary excerpts and “souvenirs,” document his experiences in wilderness and his commitment to its preservation. The exhibition depicts Foster’s global journeys – from Greenland to Borneo to the Atacama desert – however it starts in Cornwall, his own back garden, which Foster nominated himself. 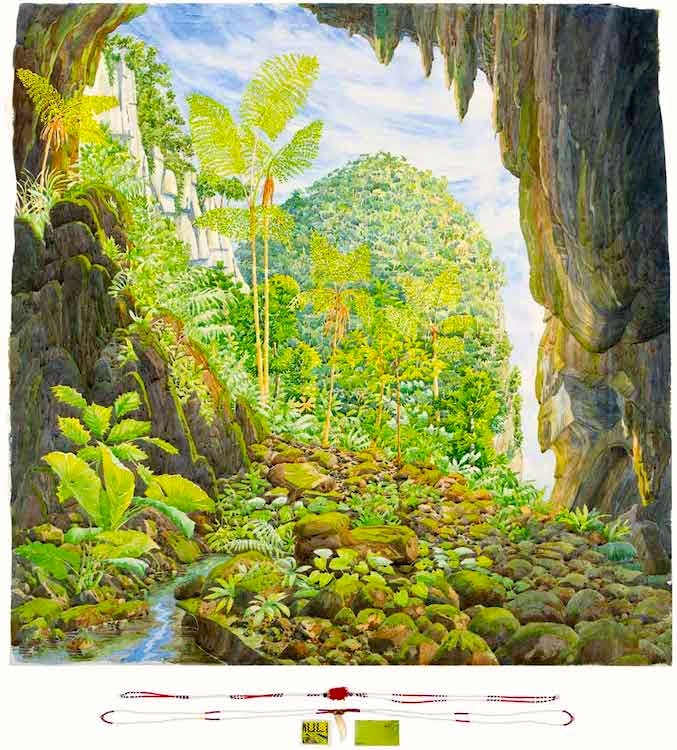 Vivid colours of wildflowers, moss-covered boulders and twisted tree branches shows clearly his determination for this region [once despoiled by tin mining] to sit comfortably with the range of stunning landscapes and natural settings in the rest of the collection. Lush greens make Tywardreath Marsh and the Luxulyan Valley feel like they are bursting out of the frame, assisted, as with all of Foster’s paintings, by a small collection of ‘souvenirs’ included alongside each picture, to help mentally transport the observer into the natural scene, to the exact spot where Foster sat whilst painting. The focus of the exhibition is arguably the enormous Grand Canyon painting, which stretches across an entire wall, and took Foster 23 days to complete. Along with the usual selection of souvenirs collected ‘from the field’, as well as a set of smaller accompaniments depicting various other stunning viewpoints and perspectives on the canyon, he takes advantage of an extraordinary vantage point to illustrate the landscape in staggering detail; from the constantly-varying shades of rock formation, to the assorted green vegetation, to the river flowing way below, it’s a majestic image which could easily be studied for hours. The Merc story also includes photos of visitors from the Jewish Community Center residences being taken on tours of the mosque. It’s only neighborly. This entry was posted on April 3, 2018 at 3:29 pm and is filed under Art, Language and religion. You can follow any responses to this entry through the RSS 2.0 feed. You can leave a response, or trackback from your own site.